This year, LYS will be hosting an advanced summer camp for Travel Players. The camp will be held from August 18 - August 22 from 9:00 am - 12:00 pm at the Samoset Fields. 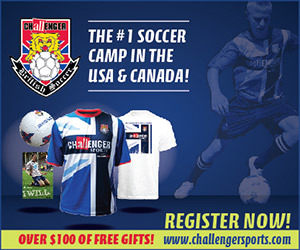 The Challenger Sports Camp is designed for players looking for a competitive camp. The camp will challenge players physically and mentally, while focusing on core skills. Small sided games to finish with.